A warrant is out for the arrest of the Rai Coast MP, James Gau, after he failed to appear before the Madang District Court on an adultery charge. Magistrate Ignatius Kurei issued the warrant on Wednesday after Gau failed to appear before the court on several occasion. 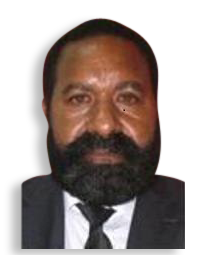 The warrant has been served on the police in Madang to effect the arrest. NBC News has documents which shows that Gau failed to personally appear in court on 10 occasion. He was however, represented by three different lawyers on these occasion. Complainant Tony Apasuar summoned Mr. Gau to appear in Court on the 28th of July 2016, for having an affair with his wife who was his electoral staff. The matter was initially settled through a mediation process where Mr. Gau was told to pay K150,000 in 2015. He had only paid K100,000 without settling the balance, resulting in the matter returning to court. The matter will resume on the 29th of this month.